from tradfolk to Hendrix, The Killers, The Beatles & more! Ah, summer: when teachers can finally catch up on their blogging. And so, today, we dig through the mailbag for the best of what’s been sent along in the last few months, with a focus on a broad set of artists who are but one or two EPs and albums into what may well become a career, if we have anything to do with it. As always, folks – and especially in the context of this week’s kerfuffle between David Lowery of Cracker and Emily White of NPR – if you like what you hear here, do the artists a solid: head over to their websites after downloading, so that you, too, can proudly say that you’re supporting the continued creation of new art in culture, by putting your money where your ears are. Close blogwatchers have heard from Benjamin Francis Leftwich before – we dropped his streaming cover of Arcade Fire’s Rebellion into a Soundcloud feature back in January of last year with little fanfare and no comment. But Leftwich is no one-shot wonder: thanks to some solid support from avid promo folks and a well-received debut EP of originals earlier this year, he’s been compared to Jose Gonzalez and Coldplay, featured on Daytrotter, is currently touring across Canada, and his coverage has been all over the web, thanks to several soundcloud one-offs and a free 5-track Covers EP released back in the fall. I’m pretty sure we’re among the first to post this newest track, which arrived just yesterday; recorded for an upcoming MOJO compilation, it makes a great companion to a pair of other, only slightly older covers that reveal the gentle young artist’s depth and talent. 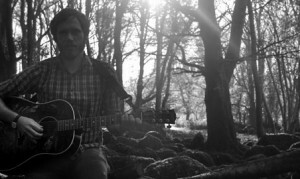 Leftwich leads us to another new favorite: Fossil Collective, a Leeds duo who toured with the aforementioned up-and-comer during his UK tour in February. 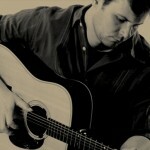 But where BFL tends to perform and record in a solo singer-songwriter vein, this is full-blown indiefolk of the Bon Iver and Monsters of Folk type, rich and layered, with subtle instrumentation that ranges from strings to keys, and etherial harmonies that soar above honest, almost alt-country rhythms and strums. Those interested in pursuing more should definitely check out ‘Let It Go’, their newly-released EP. We’d never heard of Radical Face, aka Ben Cooper, with and without friends. But when he sent along this simply beautiful unsolicited one-shot, recorded as a recentering exercise amidst a grueling studio schedule as he cranks out his first album under the new moniker, we couldn’t help but sit up and take notice. A quick search through YouTube reveals a small back catalog of solo work, several now-defunct group projects of various experimental typology, and a delightful new video which spins towards catchy, alt-radio ready Garden State indiepop, with plenty of majesty atop acoustic underpinnings a harbinger of good things to come. 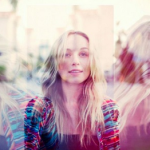 With but one EP to her name, seventeen year old sunshine girl Zella Day is just starting to make her mark on the music world; indeed, the five studio tracks on Cynics vs. Dreamers, which run from high-gloss synthpop to contemporary singer-songwriter folk alternative, reveal an artist still exploring possible settings for her voice. But if it was up to us, we’d vote for folk: as the below novelty reveals, her vocal control and fingerpicking are already smooth, and the tension between the dark lyrics and haunted visuals of this brand new video take on Seven Nation Army and the sweet, haunted yet girlish delicacy she brings to her decidedly understated acoustic version make for an exquisite if brief journey. 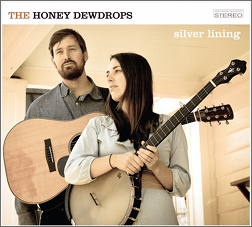 Back in the world of hardcopy tradfolk comes a well-received album already making the midyear best-of lists: The Honey Dewdrops, a husband and wife duo from the foothills of the Blue Ridge Mountains whose newest release Silver Lining evokes the warm sounds of hills and holler even as it puts forth a smashing set of original songs that tug at the heartstrings as effectively and as well as anything Gillian Welch and David Rawlings ever recorded. 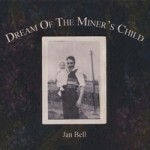 The lone cover on the album is but a coda, a beautiful, haunting a capella closer of trad track Bright Morning Stars – and these old bonus YouTube takes, on Utah Phillips’ Miner’s Lullaby and Bill Monroe’s Can’t You Hear Me Callin’, and the banjo and guitar featured in the couples’ hands on the cover art of this utterly stunning neo-traditional album, gives a decent sense of how those close high countrygrass harmonies sound up against the native strings, I suppose. But Silver Lining itself is truly sublime from start to end, and perhaps only the second perfect album we’ve found this year so far: head to their website ASAP to check it out. 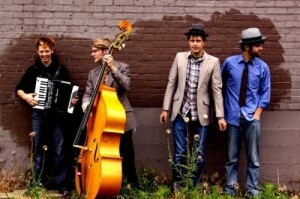 You Gotta Roll, the 5 song all-covers EP from Woody Pines – like the above, another physical product from the fine folks at Hearth Music, whose taste and promotional approach remains impeccably irresistible – has a hopped-up ragtime-stringband-meets-rockabilly energy that comes across as grounded in an equally traditional American sound, albeit from a different era, back when blues, folk, jazz, and country were still intermingling on the early days of dustbowl radio. Heck, the album even starts with the warm fuzz and whine of a radio tuner, confirming our suspicions that both folksinger Woody Pines himself and the boys in this same-name foursome know exactly what they sound like, and how well. Those in the know will be duly impressed when they hear that Billy Joe Shaver has called them “the best band I ever heard in my life”. And with four albums in the back catalog, there’s plenty here to love. Way back on the indiefolk side of music, we’re pleased to report that the first day of summer means yet another incredible Fuel/Friends summer mix, and this year’s package includes several non-originals worth mention: The Head And The Heart on a rooftop covering Damien Jurado this past April, Vetiver and Fruit Bats covering Bobby Charles in a record store last September, and an utterly delightful Jimi Hendrix cover from new acoustic soul sensation Michael Kiwanuka, recorded just a couple of weeks ago for a SiriusXM session. 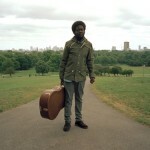 Kiwanuka is the real deal, folks, as his Leonard Cohen cover from the March issue of Mojo proves a hundredfold; as Heather notes, “his voice is all warm and redolent, and every time I listen to his record it feels like a still July Sunday afternoon, no matter where the clock and the calendar point”; keep eyes and ears open for his bright future. Finally, it’s a bit bombastic-slash-majestic for folk, but fans of Regina Spektor and Nelly McKay will find much to love in this piano-and-vox take on LL Cool J classic Mama Said Knock You Out from NYC singer-songwriter & multi-instrumentalist Alyson Greenfield, first posted to YouTube back in March as part of a continued push to promote 2011 iTunes/bandcamp EP Rock Out With Your Glockenspiel Out with four more coversongs of similar ilk and comparable delight, including “Gangsta’s Paradise” on the titular glockenspiel. 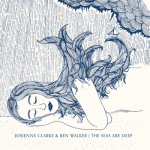 Just can’t wait for your Coverfolk fix? Why not “like” the Cover Lay Down facebook page for previews, bonus streams, and more throughout the week! I’ve been wearing my actor’s hat most of the week, treading the boards and wearing the greasepaint, out of the house at all hours prepping for tomorrow’s opening night of Godspell. But though I probably should be going over my own lyrics on the ride to and from dress rehearsals, the bright and oft-garish lawn displays that pepper the otherwise-darkened streets have been inspiring quite another modus operandi. Which is to say: the holiday soundtrack has been singing in the wires and the air, and I’m not talking about the same-old nostalgic popstuff that’s taken over the rado waves. Here’s some great new discoveries from the mailbag, the blogs, and beyond that have been keeping me in the holiday spirit. Young Halifax-based folkpop songwriter David Myles is a wanderer, musically speaking: his path includes several collaborations with Canadian hip-hop artist Classified, and a recent world music album heavily influenced by Brazilian and African rhythms; his awards for songwriting and studio albums are predominantly in the folk category, though multiple artist/single of the year recognitions suggest a broad popular appeal. His simple, sparse holiday single comes in uptempo and slow versions, but to be fair, neither one’s a scorcher. 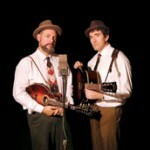 Still, the uke’s got a solid range: Hawaiian swingjazz and gentle blues leave us wanting both to keep. Stream, then buy. 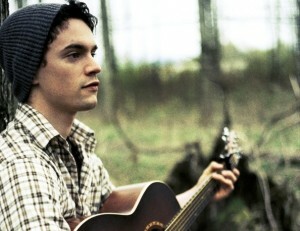 We featured Joshua Hyslop here this summer, after we caught wind of Cold Wind, his mesmerizing, dreamy folkpop debut; though it predated his studio recording by several years, the Leonard Cohen cover we dug up at the time was more than ample evidence for naming this young Canadian singer-songwriter a star on the rise. Now comes more proof: an acoustically driven popfolk gem that just explodes into hope and gentle joy just before the one minute mark. 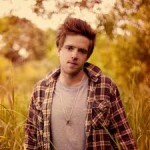 The track has already traveled the blogs a bit, but it’s well worth passing around. Matt Douglass is a woodwind player, songwriter and teacher from Raleigh, North Carolina who brings a penchant for echoey, glitchy electrofolk and an odd sense of rhythm to his new holiday album Christmas On Lane Street, a studio solo craftwork being sold to benefit Kids Peace. The resultant carols are slightly unsettling, in need of their own peace, their layers not quite cohered. It’s a nice change, and worth the experiment, from the flooded, staggered cacophony of The Holly And The Ivy to the Judy Garland tribute that ends the album, wearier than hers by far. 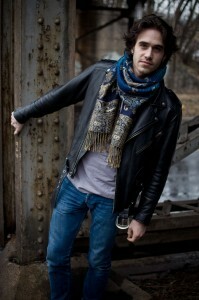 According to his publicist, newly-signed Nettwerk artist Liam Titcomb is a Toronto-based “folk festival rug rat” with a heart and a history that begins with a signing to Sony Canada at the age of fifteen, and a subsequent life on the road with Great Big Sea, Tom Cochrane, and other folk greats from above the border. 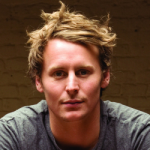 In 2009, at the age of 21, the acoustic folk-rocker raised over $50,000 for War Child on his Coast to Coast Busking Tour, suggesting a strong following and a solid commitment to the future. His newest single Silver Bells begins with an alt-country slide wail and a gentle pulse that blossoms into air, a slow, pensive look at this seasonal favorite. Fellow coverblogger Ray Padgett of Cover Me fame first introduced us to the dark, troubled “slit your wrist” folk coverage of Josh T. Pearson over the summer, and we were instantly smitten with the brooding artist who pulled a knife on a crowd member at this year’s SXSW. 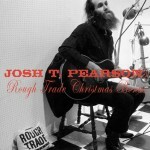 Today, they bring us a ragged, broken-down O Holy Night, off a new Christmas EP being sold as an exclusive bonus for those who buy Pearson’s Last of the Country Gentlemen, which label Rough Trade named their Album of the Year for 2011. It’s worth it. Beta Radio sound a little too like the Avett Brothers, as if they had swallowed wholesale the neotraditional indiefolk modularity. But brighter, as befits these humble carols. The Song The Season Brings, the single, stunningly sparse original which gives the tiny four-song EP its name, is more than majestic enough to meet the season. And the entire set is free, a gift to the world. 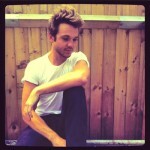 Andrew Ripp is similarly polished, but in the bluesfolk vein. Think Lightnin’ Hopkins with the voice of modern youthpop and a stompin’ beat: electric, and the rest of Light Of Mine, his new six-track Christmas EP, is equally solid. A search reveals a growing body of work with a strong acoustic country bent and a touch of Ben Harper in the mix, too – nice stuff, all ’round, and well worth watching for. Last, but certainly not least: the particularly subequatorial phenomenon of a mid-summer Christmas on the water isn’t in my frame of reference, to be sure. I’d never even heard Tim Minchin’s wry Christmas musings before this cover popped up on Timber and Steel’s holiday best-of list last year. But in spite of the religious right protest which it inspired, the universal sentiment in this doubter’s honest homestead holiday hits right at the true meaning of Christmas for much of the post-Christian world, myself included. And young Aussie singer-songwriter Kate Miller-Heidke‘s version is so tender, so soft and earnest, so safe, so full of longing, so utterly, crushingly powerful, you’ll have to listen to it more than once to get the full effect. Looking for more holiday coverfolk from Cover Lay Down features past and present? Use the Holiday Coverfolk tag below to peruse more seasonal songs and features…and stay tuned for more as the season progresses! 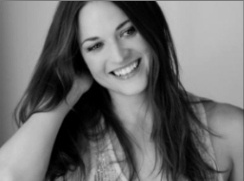 Amber Rubarth, James Vincent McMorrow, Big Daddy ‘O’ and more! I’ve been busy, with storm clean-up and the start of a new school year taking up all my time and energy. But happily, a luxuriously long Labor Day weekend leaves room for a mid-morning run-down of the newest stuff to hit my ears. Here’s the best previously-unheard artist coverage that’s been making me smile as Summer spins to Fall; take a taste between the barbecues and parties, and – as always – don’t forget to follow links to purchase and support these new and still-rising artists if you like what you hear. 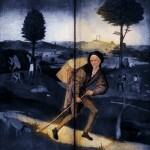 Pulling threads can lead to new discovery; such is our mandate and mission here at Cover Lay Down. 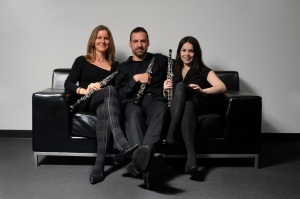 But this week’s must-hear two-fer comes via an especially circuitous route, one which began with the snailmail delivery of Unraveled, the Kickstarter-funded debut album from Threeds, an avant-garde oboe trio based out of NYC. As expected, Unraveled isn’t folk; iTunes auto-categorizes it as Jazz, and I suppose that’s about right, though the beatbox rhythms which drive several early tracks are delightful, and the album resonates well with my classically-trained spouse, too. 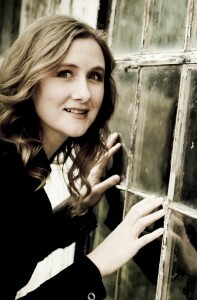 But I’m quite glad I decided to spin it anyway, as among the multiple covers and originals on this tightly woven genre-smashing journey of an album are several tracks accompanied by guitar and voice – and though my favorite of these, Edge Of My Seat, is not technically a cover, but a new arrangement of an original song penned and performed here by Amber Rubarth, the Little Feat cover below, which features Rubarth and Paul Brill on vocals, is more representative of the eerily well-produced album, which also contains reed-driven covers of Charles Mingus, Radiohead, Bjork, The Doors, Michael Jackson, and more. Not sure why I had never discovered Amber Rubarth; the small-town California-born, weary-yet-clear-voiced singer-songwriter didn’t take to the proverbial road until 2006, after a first career as a journeyman wood sculptor, but she’s been winning awards ever since for her original songs and lyrics, most recently as 2010 winner of the NPR/Mountain Stage NewSong contest. Her total output to date is about what you’d expect from a relatively short career – a couple of EPs, a trio of solo albums, two discs of collaborative indiepop work with fellow Brooklynite Alex Wong as The Paper Raincoat – but her newest album will include duet work with Jason Mraz, and a YouTube search reveals stellar, soulful covers of Dylan’s Just Like A Woman and more, causing me to add Rubarth to the ongoing wish list, to download her free Winter Sampler EP, and to feature her work here in the hopes of spreading the word to those who, like me, were in the dark until now. Bearded Dubliner and indiefolk singer-songwriter James Vincent McMorrow is still making waves after a 2010 debut strong enough to catch the ear of bloggers from Heather to Peter; he’s often and easily compared to Bon Iver, James Blake, Antony and the Johnsons, and Devendra Banhardt – there’s a comparable delicacy in his settings, a similar tendency to record albums by himself in the woods, and the same whispery atmosphere in his falsetto – but there’s a depth of sensitivity here which just stuns the senses, transcending derivative accusation. McMorrow’s first-ever US tour kicks off next weekend with shows on the upper East Coast. In the meantime, while you wait for him to come to your city, you can hear it in both these recent covers: a soft, sparse Willow Smith original recorded a while back for Today FM, and a brand new, utterly etherial piano-and-vox take on a one-time guilty pleasure from my adolescence which has just started making the inbox rounds, with bonus points for the song’s origin on new for-charity covers compilation Silver Lining, a student project from Dublin’s Sound Training Centre. Spread the word: this guy is getting big fast, and for good reason. Acoustic bluesman Owen “Big Daddy “O”" Tufts comes as yet another mailbox recommendation, from a friend and fan who was happy to share; the Taj Mahal cover included in the email is gentle and warm, and though it was recorded and released a decade ago, having never heard of the artist gives us license to include his fine work in our ongoing series of coverage from new finds and releases. “O” is hard to track down; his website is offline was down when I wrote this entry, digital tracks are scarce outside of Amazon, and until I found more recent releases by searching cached websites in Google, as near as I could tell, the last record from this 30-year veteran of the Louisiana/Mississippi scene was a 2003 covers album containing tributes to everyone from Robert Johnson to James Taylor. But we’re here for discovery, folks, and this man is a hidden Delta gem; listen, buy, and pass it on. Last but not least: an offhand remark from Timber & Steel (featured here last month) brought me to festival folk sing…, an ongoing project which solicits artists for live tribute sets at local Australian music festivals, and then turns the resultant recordings into crisp, well-curated collections that honor the performers as effectively as they celebrate the songwriters who have influenced the predominantly brit-folk influenced, local Australian folk and acoustic music scene. So far, there’s been but two records from this project – a tribute to Joni Mitchell, and another for Eric Bogle – but festival folk sing… is awesome in execution and concept, and seems to have sufficient legs for more; keep an eye on their website and facebook page for updates after you’ve checked out these local artists from the downunder scene for more threads to pull. 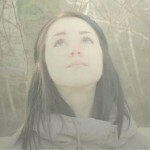 In other, more familiar artist news: Laura Viers is scheduled to release a new kidfolk album in November, and, according to the latest Signature Sounds newsletter, there’s some promising new album-length coverage from Peter Mulvey and Crooked Still on the horizon, too, with the former in process for March 2012, and the latter due to drop in October. 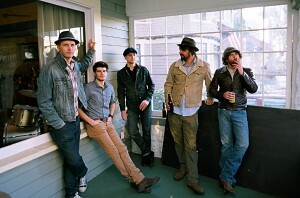 Crooked Still takes on American Tune, the Beatles, and John Hartford? Yes, please. We’ll be back midweek for more, as always. brings dark beauty, innocence to a Leonard Cohen classic. Sometimes it pays to dig a bit deeper. And that’s how I discovered this surprisingly innocent, almost delicate cover of Leonard Cohen’s Tonight Will Be Fine from new Canadian whippersnapper Joshua Hyslop, whose total studio output to date appears to be Cold Wind, an absolutely mesmerizing EP of originals released in July of this year. But if this is only the beginning, man, we’re in for a sweet ride from here. The EP is amazing, with rich production wrapped around fluid arrangements of the kinds of songs only the young people can get away with; his press release compares him to Sufjan, Damien Rice, and Iron and Wine aptly; I hear these and something much more dreamy and poppy, plus Train, William Fitzsimmons, and other college radio indiepop radio standbys, especially in the production, and – more subtly – in the crescendoes of sound and emotion which crash through these dark, rich folkpop landscapes and dreams, pulling at your comfort, offering an unsettled, compromised resolution, until We Have Seen, a triumphant anthem of acceptance, hope and peace, ends the set. The cover, of a song most recently taken on by Teddy Thompson back in 2006, comes from a Naked Jams session recorded almost two years ago; the bare-bones voice and solo guitar are more akin to the stripped down emotion of a slightly younger, somewhat lighter Bon Iver or Ray LaMontagne. And the solo performance is so powerful, even though I love the dynamic of the EP, I can’t help but hope for some middle ground in the next round. Still, in both solo and produced forms, Hyslop comes out of nowhere, and hits you right between the eyes. Give Cold Wind a shot the right way, by listening to the full album stream below from start to finish; you’ll not regret it, and you’ll probably buy it. But first, listen. Stevie Wonder, Arrica Rose, Neil Young, Mark Erelli, Doc Watson & more! We’re home from the folkfields after a two-week hiatus, tanned, rested, and ready to explicate the current state of folk as represented by this year’s mainstage and sidestage lineups and their accompanying buzz. While we gather our thoughts [and CDs] for our annual post-fest megapost, here’s the best of what landed in the mailbox during our absence. With its tender mix of old-timey reconstructions, traditional tunes, original songs, and recorded field narratives, On The Brooklyn Road – an incredible new country roots album from San Francisco Bay-area up-and-comer Nell Robinson, recently featured on A Prairie Home Companion – puts itself squarely in the category of older folk forms, even as it swings through songbooks both old and new. And yet there’s something deeply powerful and startlingly post-millennial about this sophomore album, as a whole, in no small part because of how effectively it provides a delightfully listenable, fluid primer of the interrelationships of the various folkforms which together fall into the roots category. There’s a little bit of everything here, from country gospel to gentle singer-songwriter balladry, from grassy backporch pickin’ to a loose and lazy zydeco, all peppered with the recurring refrain of field recorded stories from Robinson’s mother and uncles, and leading us to the album’s delightful coda, which features pitch-perfect stylistic reconstructions of two traditional arrangements originally by the Cackle Sisters, a long-forgotten female duo from the 1930′s who invented their own yodeling form. But the sequence works well, and with nary a weak spot, leaving me struggling to pick just a pair for our post, even as it creates the perfect conditions for a press-ready quote we can stand by: Robinson’s sweet voice and the lighthearted settings of On The Brooklyn Road make for a consistent, thoroughly enjoyable journey through a timeless, sepia-toned world at the intersection of bluegrass, country, folk, and americana. Highly recommended. Folk-noirist Algebro‘s strangely fragile falsetto and gentle acoustic strum make for a reasonably odd match, with a product that starts off teetering on the edge of parody, and never shakes its easy association with Devendra Banhart. 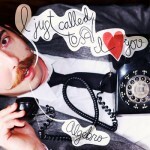 The handlebar moustache Algebro sports on the cover of his album doesn’t help, either – nor does the jock-y, math-y pseudonym taken by Chicago singer-songwriter Thom Cathcart for his solo project. But his utterly delicate take on this Stevie Wonder classic, released as a promotional freebie by the Georgia transplant, grows on you quickly, leaving us with the inner visions of a calmed, pensive narrator once totally hidden by the heavier instrumentation and soaring albeit somewhat bombastic beauty of the original. Single Life, the newest album from Alberta singer-songwriter Landon A.R. Coleman, is a bit of a folk/rock/blues/americana/indie genre smorgasbord, as seen in the two streamable originals currently available over at bandcamp while we wait for an August release – a not unexpected result of a lifetime steeping in literature and in the indierock, flannel-wearing solo artist, and bluegrass branches of the musical arts. And his cover of Neil Young obscurity Down To The Wire is no exception: it starts as a warm and syrupy tune, with echoey emergent harmonies and sustained strings, and then somewhere along the way, ever-so-gently, it evolves into a fully orchestrated album-ender, with synthy flutes and reed flourishes that fade into something not so far from a mid-seventies Disney soundtrack. Those who have been following Cover Lay Down over the last few months already know that we’ve been struggling with the aftereffects of a massive tornado strike here in my tiny rural Massachusetts town. What you may not know is that one of the buildings which was damaged was the same stately civil-war era granite structure in which Mark Erelli recorded his seminal Memorial Hall sessions, one of my favorite albums from this gem of the rich Boston folkscene. Now Mark’s released Live In Monson, a limited-edition bandcamp EP of outtakes from those sessions, as a fundraiser for our continued clean-up and rebuilding efforts, featuring live versions of some of his most notable folk radio hits from the period; the high energy of his take on classic American slave song Follow The Drinking Gourd is indicative and apt. Stream, then buy at bandcamp for just 5 bucks to make a difference. 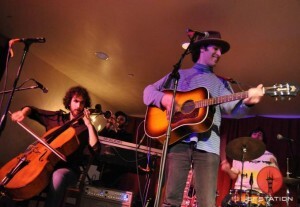 And don’t miss Mark’s amazing “official bootleg” live session from Passim, recorded in 2010 and released this Spring, while you’re there – the Tom Petty encore is just the tip of the iceberg. According to Erelli’s website, he’ll also appear on a “rockabilly version of the Sesame Street classic Ladybug Picnic” on Alastair Moock‘s upcoming kid folk album These Are My Friends. 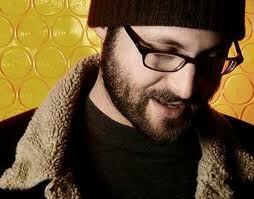 I haven’t heard it yet, but I’m a big fan of the gravely-voiced singer-songwriter, and you should be, too. Here’s step one: this gentle outtake from Moock’s first kid’s album A Cow Goes Moock, a Buddy Holly tune done for sleepy kids yet boasting a summery folkrock greatness, found among the samples available over at Moock’s kidfolk site. (Note: Moock’s Grownup’s Music, which lives separately, and comes in much more muted colors, is equally worth your while). I tabled this one back at the end of June, but the timeless Louvin-esque strains of Ashville, NC duo The Twilite Broadcasters have been lingering in my ears ever since – it’s time to share the joy. The nut: twangy tenor/baritone harmonies and true craftsmen’s hands on the mando and guitar make for a delightful collection of traditional interpretations on the oldtime/country/bluegrass border. And like the songs themselves, the video of their take on Doc Watson-collected tune What Does The Deep Sea Say, which I found on their site, is adorably, indelibly authentic. We’ve posted work from Arrica Rose before here at Cover Lay Down, celebrating her folkpop prowess as it evolves. 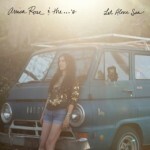 Her slow, soft take on Tom Waits’ I Hope That I Don’t Fall In Love With You, which we reposted in December ’09 as part of a Tom Waits coverage set, is a stunner still, three years after its release; her more recent take on the Bee Gees’ Tragedy is a delicate journey through summer. But we’ve never heard her like this. The Californian artist’s most recently dropped song is pulled way back, an echoey, shimmery dreampop mashup of Video Killed The Radio Star and Wonderful World that takes our breath away. The gentle, almost funereal pace and pitch pairs so well with the Lois Armstrong classic, it turns what had been a tale of the inevitability of change into a song of solace, giving thanks for the constancy of nature’s blessings along our evolutionary path. Totally transformative, and a perfect teaser for upcoming indie rock album Let Alone Sea, which drops August 22 but is already garnering critical acclaim. 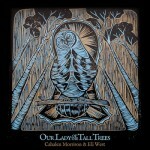 In other news: after almost a year in download-only format, the debut album from Mon Monarch – the folk trio formed around singer-songwriter chuck e. costa, current Official State Troubadour of CT and one-time winner of the Falcon Ridge Folk Festival Emerging Artist competition – has finally hit the shelves, for those who still prefer a bit of plastic and liner notes; there’s no covers on it, but I can’t say enough about this amazing collection of heartfelt, intelligent lyrics and songcraft, so I’m using this opportunity to repost a video we took when costa played our concert series last year. 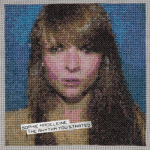 And finally, though I mentioned it in passing beforehand, uke-player and singer-songwriter Sophie Madeleine’s 30 covers in 30 days project ended Tuesday with the release of her newest album The Rhythm You Started; both can be accessed in full at Sophie’s website, and both come with our strongest support and ratings. BoingBoing reports that her cover of Pumped Up Kicks’ Foster The People is garnering the most attention, but though I find her Bon Iver cover quite beautiful, and appreciate the mix of obscurities and obligations the set spans, I’m still partial to the third song in the series, a light, warbly take on Daniel Johnston’s True Love Will Find You In The End which makes a great call-back to the baker’s dozen of song coverage we posted back in January. with covers of Ryan Adams, The Smiths, Linda Rondstadt, tradfolk & more! It’s been a long while since we turned to the mailbag, but even after pulling out most of the vast Dylan tribute coverage over the last few months, it’s bulging at the seams with the good stuff. So, as always, we’ve sifted through the chaff to find the best recent releases from new, practically new, and still under-the-radar artists – and happily, plenty in this late Spring crop is well worth your while. From classic jump-up cajun to broken-down bedroom folk to full-blown folk-influenced rock and roll, this month’s backlog best yaws wide indeed. But folk is everywhere, if you know where to find it. Let the coverage begin. 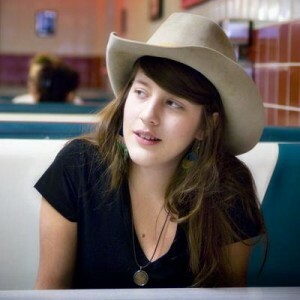 Elsewhere, as in her single Shanghai Cigarettes, indiefolk star Caitlin Rose is brash and countrified – and the attitude has gotten her far, from Bonnaroo stages to co-bills and opening slots with the likes of Ron Sexsmith, Deer Tick, Justin Townes Earle and the Felice Brothers. But her Linda Ronstadt cover is plaintive, delicate and sweet, a quiet cry into the soul, a late-night pensive look into the darkness. And her take on You Are My Sunshine, recorded live a few years ago for an American Songwriter live session, is wistful and beautiful countryfolk that rivals June Carter’s best. Check her out on NPR’s World Cafe, where she appeared in-studio this evening, then head over to her homepage to take a peek at and order her newest album, Own Side Now, which garnered a highly respectable 8 stars at Spin just a few weeks ago. Angie Hart isn’t new, and neither are her covers – most were recorded in 2009, ultimately used as bonus tracks on an album that helped relaunch her to name-recognition status among a certain crowd familiar with her early work with popband Frente! 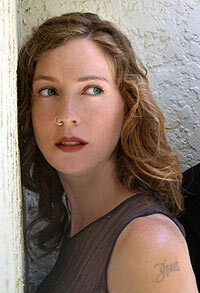 in the mid-to-late nineties and with her partner Jesse Tobias in the duo Splendid in between ’96 and ’05. But the piano balladry and hushed, heavily Aussie-accented little-girl voice ring true and clear from the mailbox (thanks, Will! 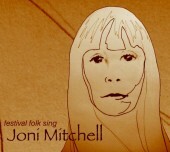 ), and the chamelonesque performer goes from atmospheric emopop to syrupy-slow pianofolk on her 2009 b-sides set; on the orchestrated tracks, such as Blue (cowritten with Joss Whedon of Firefly fame) or Reckless, we find as much influence from the early psychedelic british folk rock movements as from the modern post-pop indie torchsong set. Janelle Daddona’s Firecracker is light with doubled harmonies that soar and a tense, treble jangle on the strings – simpler and more subtle than Ryan Adams surely ever imagined, but a highly successful interpretation needs no excuse. 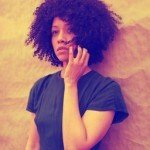 The NY/PA-based singer-songwriter comes without much press to scavenge from, and little sign on Google, suggesting she’s farther under the radar that even we usually go to find these gems; there’s no link above, for example, because the only one I could find goes to her MySpace page, and all it has is a short video of her bellowing Natural Woman at some karaoke bar. 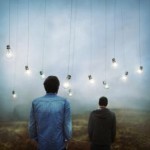 But even a single song can be a light in the darkness. Let’s let it shine on her. 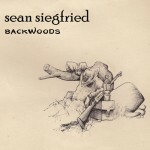 Backwoods, Sean Siegfried’s instrumental fingerstyle guitar album, is dreamy and mellow, a far cry from the electrified output he apparently used to prefer; he names Bert Jansch, Nick Drake, and Jose Gonzales as recent influences, but the crisp and deliberate tones in this reimagined take on a traditional Irish melody and other tracks remind me more of John Renborne’s seminal Black Balloon album than anything else – high praise indeed, given how seminal that album was in shaping my own childhood as a budding audiophile. The track, like the album, would go well with something equally unassuming yet deceptively deep, like a fine wine, or thoughtful contemplation of the ripples therein. Thomas Fox – not a single artist, as might be expected, but a duo collaboration between Blake Thomas and Mary Fox – play traditional old-timey folk, with harmonies like Mike and Peggy Seeger and voices to match. 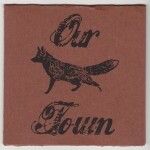 The full collection of well-chosen American folk standards they recorded for a recent production of Thornton Wilder’s Our Town at Minnesota’s Yellow Tree Theater is an old folkie’s delight, and it’s just a mere bonus to this occasional amateur actor to find that the pair performed in the show, as well. This AP Carter standard Single Girl, Married Girl echoes with ancient midwestern dust, and the echoing strains of Blake’s voice on Sugar Hill are perfect for the traditional tune; pick up the rest of the CD here, and stick around for The Window and the Light, Blake’s newest collection of original folk. 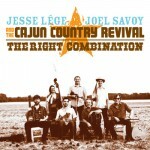 Get your boogie on with Jesse Lége, Joel Savoy, and the Cajun Country Revival, an American roots supergroup that play true-blue Cajun dancehall music crossed with Texan honky-tonk. The stellar chemistry between these stars of both camps plays out in and as The Right Combination, which is loose and joyful throughout; their take on tradtune Corina, for example, is rich with accordions and country slide guitar and a honky-tonk bounce that just won’t quit. Like The Band? Like Jack White? Then you’ll love Needle, Feather and a Rope, a majestic alt-countrified horn-driven take on the universe and everything in it released last month by the Blind Willies, which seems to be primarily a project of multi-instrumentalist and songwriter Alexei Wajchman. The band got their start covering tradfolk tunes and originals in high school; though their earlier work is lighter in tone – previous work Everybody’s Looking For A Meal, a duo collaboration between Wajchman and fellow Blind Willies founder and fiddler Annie Staninec, is more subtle, and decidedly more folk, but no less heartfelt – the new album is a shot in the arm, with the primordial sounds of Leadbelly and Lomax filtered through New orleans blues, Randy Newman pop, Rolling Stones rock and roll, grandiose indiefolk, and just about every other genre that has followed. Check out their adaptation of the traditional Lomax-collected tune Rattlesnake below for ample evidence. 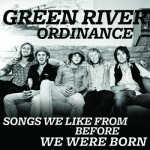 Green River Ordinance is unabashedly grungy, decidedly Top 40, indisputably anthemic – more rock than anything we’ve ever posted here, for sure. Their take on Fleetwood Mac’s Go Your Own Way, for example, is a slamming summer pop hit, destined for plenty of rock radio airplay over the next few months if it ever gets to the right ears; their Justin Bieber cover is fun and redemptive poprock, too. But the cover choices they’ve made in compiling new covers EP Songs We Like From Before We Were Born include several folk-rock numbers, including popular favorites from both Stealer’s Wheel and The Band, so I’m pushing the envelope a bit today with both. Keep an ear cocked for a grand shout-out to folk anthem This Little Light Of Mine towards the end of the latter. Cover Lay Down brings you new coverfolk sets and features twice weekly thanks to support from readers like you. Coming soon: two late Dylan tributes from the older set, this summer’s New England folk fest preview tour, and more! 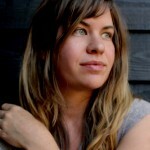 cover Kris Delmhorst, Shawn Colvin, Kate Bush, In The Pines & more! The mailbag overfloweth with good wheat among the chaff, and it’s been a long time since we took the time to sit down and sort out the tunes for your listening pleasure. Over the next few weeks, then, we hope to resurrect some old standard features, which help us get at the new and new-to-you stuff before the novelty wears off. Today’s kick-starter: a heap of new and “new to me” albums and songs that introduced me to rising-star folk artists you should get to know, too. Drummer, multi-instrumentalist, and producer Lorne Entress sure knows how to pick ‘em. Perhaps best known in the folkworld for his support of the Boston crowd of singer-songwriters – a body of work that includes producer credits on Mark Erelli, Lori McKenna, and Catie Curtis albums, distinctive percussion on Dave Carter’s catalog and Erin McKeown’s Distillation, and musical direction for Signature Sounds 10th Anniversary Show – next to Signature Sounds’ own Jim Olsen, the man has arguably had more influence on my own musical tastes in the past decade than any other in the industry. Entress’ newest find, Boston-based Amy Black, is a second-career artist, who spent a decade in the world of business before putting out an all-covers countryfolk album last year under the name Amy Black and the Red Clay Rascals to fairly solid critical success but very little fanfare or airplay. Now, on March 29, Black returns with One Time, recorded under her own name alone, and though the production still swings full and rich, the turn from bandleader to singer-songwriter has brought her clear voice and sweet tonality to the forefront, turning her towards Americana with a taste of folkrock and a range of sound that goes effortlessly from sweet balladry to deep roots without a whit of sacrifice, and everyone benefits. As we heard in their cover of Ain’t No Sunshine, posted in last week’s tribute to the songs of Bill Withers, Black’s debut had more than a hint of twang and swing, resulting in a landscape not unlike that of Red Molly, and it’s present here, too, especially in cuts like her Loretta Lynn cover, and her take on tradfolk tune Ain’t No Grave. But the new solo turn runs deeper, too, as heard in her slow, dusty, dobro-driven Kris Delmhorst cover, and a spate of originals that reveal a burgeoning talent worthy of Entress, and of you. Amy’s CD release will take place at Club Passim in Boston on the afternoon of April 3rd, with Entress on drums and a full band to boot; the show will be filmed for an upcoming DVD, so get your tickets now if you want to have your own hoot and holler added to her next release. Out of towners take note: check her out via facebook, and you can even win a full prize package with hotel accommodations, brunch, CDs and t-shirts, show tickets for the CD release, and more. In the meantime, head on over to Amy Black’s website to pick up a free track for an email address, and pre-order while you’re at it – you’ll not regret it. I caught Edie Carey opening for Catie Curtis last month at the Iron Horse – my favorite folk club, in the heart of Northampton, MA – and something struck me as familiar, until finally I placed it: in style and sound, Carey comes across as a slightly more upper-middle class Lori McKenna, with a bit more lightness and a little less raw pain and hardship in her voice, and a tendency towards full-bellied songcraft that ranges primarily from tender to celebratory. The combination works wonders in live tracks such as Diamond in the Rough, a favorite Shawn Colvin tune, and the cover makes a great entry point for the whimsy and clearheaded optimism that reveals itself in much of her catalog – and which made her a great traveling companion for Curtis, who is known for a touch of the lighter side, herself. But listen long enough, and you’ll see there’s more to this artist than just the easy stuff. 2010 release Bring The Sea, especially – seventh in a series, and the third in her catalog funded entirely by her growing legion of appreciative fans – is a stunning tour de force of contemporary folk, pensive and gentle from track one, with support from the likes of Glen Phillips and Shawn Mullins lending credence to her deepening craft and relevance. 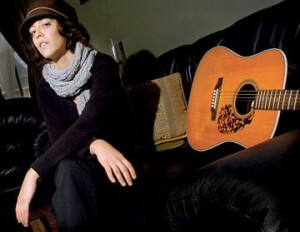 And the Cory Chisel cover it contains is dark enough in spades, revealing depths worth plumbing just under the surface. The Iron Horse has a knack for introducing me to artists on the cusp of mega-star fame – I saw both Nellie McKay and Sara Barielles as opening acts there, long before they could fill the room, let alone the charts. Here’s hoping the same thing happens to Edie – she deserves it. Kiwi artist Delaney Davidson came to me via fanmail passalong, and thank goodness for that – else I’d never have discovered the grungy, alt-country stylings of this self-styled “vagabond folk” artist from the other side of the world. Davidson traffics in multiple genres – he’s put out work both solo and in collaboration that runs from full-band indie altrock to true blue roots music – but he wears his vast and varied influences on his sleeve in all incarnations, and his cover choices are especially revealing: his timeless multiply-dubbed take on tradfolk classic In The Pines sounds like it’s been filtered through both back porch punk and a tin can O Brother Where Art Thou and back again, and the ramshackle punkabilly southern blues turn on the obscenity-laden Dirty Dozen contains its own irony, as if it came right out of a Tarrantino soundtrack. 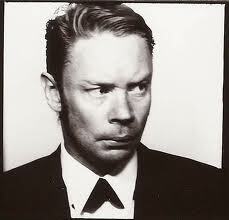 Fans of Nick Cave and Tom Waits, rejoice: here’s your savior, after all. Finally: I know almost nothing about Irish singer-songwriter and apparently flamenco-influenced Albert Niland, who seems to have recorded this studio cover of Kate Bush’s Wuthering Heights a while back, and then performed it on Irish radio recently enough for a reader to track down the original and send it along. His website is pretty sparse, without even a bio, and there’s not much in the way of other tracks out there that I can find, either. But I know soul when I hear it. Tell me more, if you know it. Cover Lay Down posts new features and coverfolk sets 2x a week. cover Springfield, Dylan, Gillian Welch, The Beach Boys, The Kinks and more! We’re back on the bandwidth wagon after a full week of experimental streamposts, with thanks to all who have already donated to help us keep the music flowing, and a reminder that, until the end of January, 20% of all donations to Cover Lay Down will be paid forward to the Food Bank of Western Massachusetts, the better to keep our local community fed and healthy. If you, too, enjoy what we do here, we hope you’ll consider helping out. Now how about a look at some great acoustic and folk coverage from new and still-rising artists worth your time? Here’s some of my newest discoveries, with thanks as always to the musicians, readers, and labels who submit songs and samples for us to share. 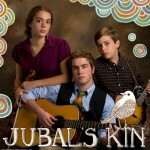 First and foremost, though not so new as all that anymore: young Floridian folkband Jubal’s Kin sent me a link to download their self-titled debut back in November, and I’m afraid I got so swept up in the holiday spirit, I never made it to their work – which is a shame, since it’s truly something special, so I’m glad to finally have a chance to tout ‘em. The nut: Jubal’s Kin is a sibling trio playing every-note-counts appalachian stringband balladry with slight undertones of both bluegrass and indiefolk, sweet harmonies and stellar musicianship, vibrant arrangements with well-placed high and low elements, and an entire album of mostly covers that tackles both tradfolk and the more modern stuff that sounds like it, from Patty Griffin to The Decemberists. The overall effect is highly listenable, full of grace and gravity, innocence and eternity all at once, a sound to steep in that rings the same bell as Sam Amidon, Nickel Creek, Sarah Jarosz, and Joy Kills Sorrow – high praise indeed, from this particular fan. 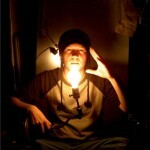 Get it on Bandcamp, but check this out first. 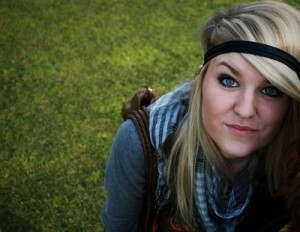 I found Kiersten Holine through a combination of serendipity, shrewd self-marketing, and code: because the text she wrote to accompany her video cover of These Days also recommends The Tallest Man On Earth’s take on the same song, her vid showed up atop the “suggested” sidebar alongside his live cover of Graceland, posted recently by Paste online. I’m glad it did. Holine’s slightly raspy bedroom delivery and soft, tender guitarwork combine to create an environment that’s quite beautiful, revealing influences from modern acoustic sadcore and indiepop (Stars, Bon Iver) to old folkies (Dylan, especially). Turns out she’s made a few songs and videos with Jeff Pianki, who we’ve covered here before, too. And in addition to the vast set of coverage on her YouTube page, she’s got a ten-song set of downloadables at bandcamp: five free covers from the likes of Morning Benders, Stars, and Local Natives, and five solid originals in EP format well worth the $4.95. Here’s two, plus the aforementioned video, with hopes they’ll push you towards the next eight and more. If How Dark It Is Before The Dawn, the newest album from Steve Stubblefield project Starlings, TN, represents a total reinvention of the songwriter and arranger’s core sound, it’s because Stubblefield himself has changed since his last album of original works in 2005: after losing his master tapes, several instruments, and much of his home in the wake of Katrina, the one-time southern bluesrock artist spent three years helping others recover from the storm, moving from Biloxi back to his hometown of Hattiesburg, MS in the process – where he turned back to his early love of gospel music, rediscovered the folk songs of Alan Lomax, and learned to play the appalachian dulcimer. The newest crop of songs are more intimate as a result, and deliciously rich with the sounds of his native south, though looking back through his catalog, I find they still retain the highly produced Velvet-Underground-meets-the-delta feel which lent so many layers to his earlier albums. But it’s the combination of that same tendency towards fuzzed-out production with a wholly new tone – a slow, syrupy, majestic emocore-meets-americana sound, driven by the drone of the bowed dulcimer – which stands out most strongly as new, exciting, and eminently folk. Indeed, his new version of Reason To Believe sounds wonderful and full, like Springsteen filtered through a psychedelic Robitussin dream. And while they clearly represent an experiment with his new-found tonality, the tracks on last year’s all-covers album Under The Influence are well-chosen, and hold up exceptionally well under the treatment. I first stumbled upon gifted feel-good singer-songwriter James O’Malley while searching for Christmas covers back in mid-December; if the name sounds familiar, it’s because his take on Darryl Purpose’s You Must Go Home For Christmas featured prominently in our Holiday Coverfolk feature set of holiday songs with a homecoming theme. Since then, he’s contacted us with two more covers, a hushed, almost mystical bluesfolk turn on a familiar Dylan tune, and a wonderfully weary take on Celluloid Heroes, recorded in 2009 for Ray Davies tribute Kinks UnKovered, which lends a pensive tone to The Kinks’ classic, and I’m very glad he’s decided to pursue our attention: the two cuts show a diversity of style and substance which remind us never to take those single-shot discoveries as the end of the road, lest we miss the good stuff. Hurrah for readers, who see what we’re doing here and help fill in the gaps. Like John, who sent along a video of Wisconsinite Hayward Williams, and his amazing rendition of Thunder Road. Williams looks fifteen and sounds timeless, like Marc Cohn with a guitar; turns out he’s popular with the Redbird crowd, making me wish I could catch him on the road with Jeffrey Foucault, who provides the quote on his homepage. And though he seems to be at his best live – which makes his newest release Cotton Bell a strong temptation, given that it is built around a set of live studio takes with talented peers – his studio work is dark and exquisitely produced, with crisp and muddy elements swirling around perfectly, so color me impressed, and wondering why the hell I missed him the first time around. To be fair, the solo video rendition of this signature Springsteen song is even better in many ways – dustier, more raw, and more weary – and there’s a few other covers up from that same session, including a strong rendition of Tom Waits’ Long Way Home with Peter Mulvey and Brianna Lane on harmonies. But the album version is sparse and strong, too, with a broken rhythm and soulfulness that gains strength even as it loses its way in the song before dissolving into bells and mournful keys, making it more than solid enough to share and celebrate. And you get Mulvey on vocals, as a bonus. Here’s both, for comparison’s sake, along with a slow, raw solo take on Frank Sinatra signature tune One For My Baby (And One For The Road) from a gorgeous 2008 Basement Tapes session. Finally, following the threads from Hayward’s store, I find Martha Berner‘s cover of Sunday Morning, which offers a light, oddly upbeat poppy folkrock take on the old Velvet Underground with Nico standard that really brings new optimism to the song without overdoing it. Berner’s apparently much more well known – her MySpace page lists plays in the tens of thousands for most tracks – and the song dates back to long before the millennium, but presenting the two together offers a nice balance, here. We’ll call it a bonus track. 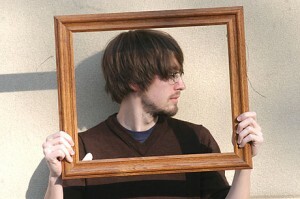 Cover Lay Down: posting new coverfolk features and songsets twice a week without fail since 2007. Y’all come back now, y’hear?